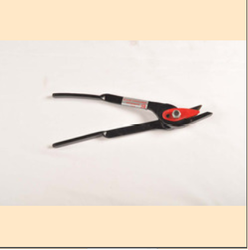 Modern Pneumatic Tools & Co.
Strap Thickness : Upto 0.065/ 1.65 mm. Strap width: Upto 2/ 50.8 mm. Grade: Regular Duty or High Tensile. 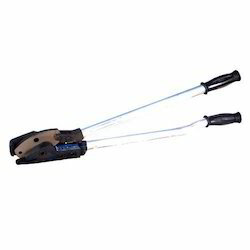 Pneumatic Power Tools & Co.
We offer premier quality Strap Cutter tool, which is acknowledged for construction, functionality and durable work life. These tools are used to cut tensioned strap of up to 1 1/4 x.035 (32mm x 0.88mm). Herein, the stand to one side of the strap is being cut and cutter is strap is held by the cutter against the package. The Steel Strapping Cutter range of product is made from the optimum quality material under the assistance of best industry experts. Carton &Strap CutterFor use on carton tape andplastic strapping. The bladeis partially exposed toprevent accidental cuts.